“On behalf of the British Columbia Aviation Council, I am delighted to advise you that you have been selected to receive the Anne and Rudi Bauer Memorial Scholarship,” writes the Chairman Mike Matthews in his congratulatory letter to Darren Kroeker. The award recognizes superior flying skills, excellence in airmanship, and the demonstration of commitment to professional pilot training. Darren—who completed his Private Pilot Licence back in January of this year—is presently enrolled in Langley Flying School's Commercial Pilot Program. 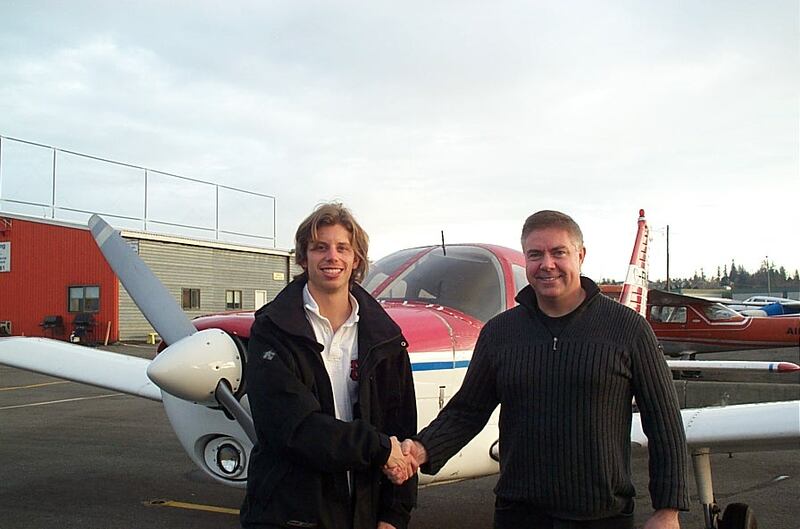 Darren is also completing his second term as a Langley Flying School Tutorial Instructor. Under what many regard as a revitalized B.C. Aviation Council administration, bursaries in excess of $11,000 this year will be awarded to top performing aviation-related students. Darren will be awarded a $1,000 bursary. 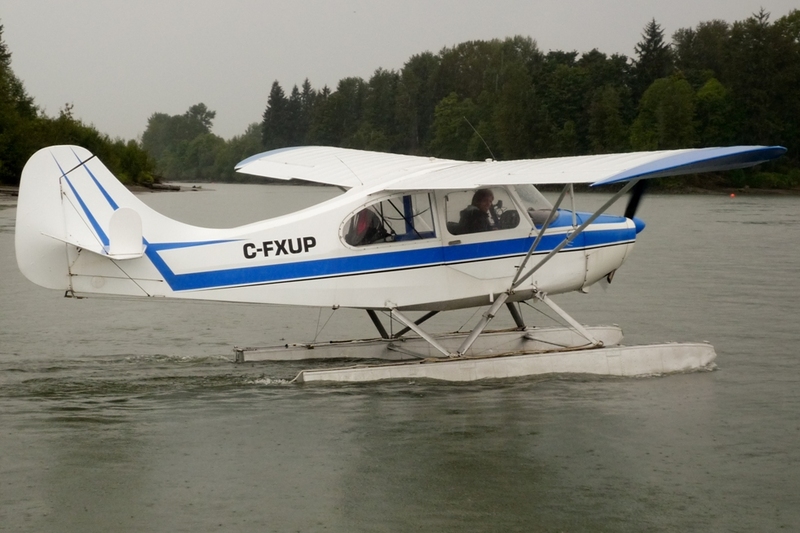 “The BCAC really represents the aviation industry in British Columbia—especially the air operators—and it is really special to see this organization giving tuition and training support for those young students who will be running the industry in the future,” says David Parry, “it’s a wise investment given the costs especially of pilot training. 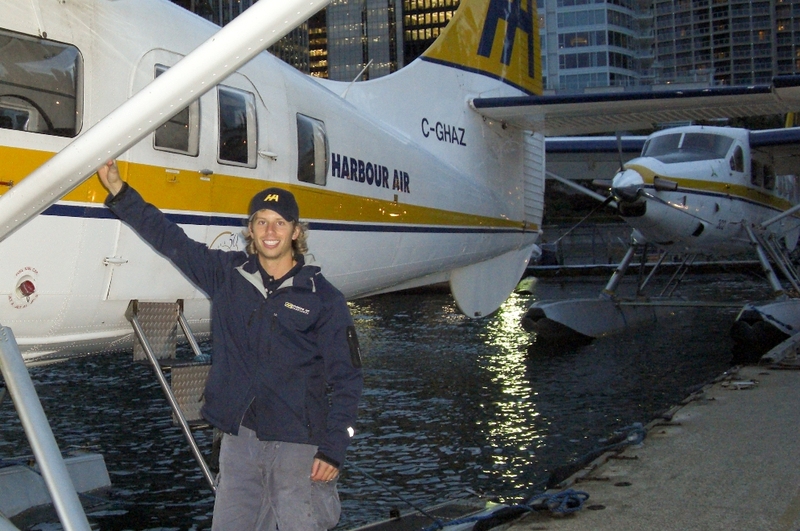 Darren was awarded earlier this year the Langley Flying School’s Samuel Ruiz Private Pilot Award for excellence demonstrated in Transport Canada’s Private Pilot Licence Written Examination, and he is the seventh Langley Flying School graduate to awarded a BCAC bursary for top performance. Previous Langley Flying School winners include Charles Blackburn (Anne and Rudi Bauer Memorial Bursary, 2003) Philip Craig (Jack Ross Memorial Bursary, 2004—Phil is now a pilot with Pacific Coastal Airlines), Marney Godkin (Anne and Rudi Bauer Memorial Bursary, 2004) Luke Howard (Jack Ross Memorial Bursary, 2002—Luke is now a pilot with Westcoast Air), Seung Ha Lee (Jack Ross Memorial Bursary, 2003—Seung Ha is now a pilot with Korean Air), and Tim Sawatsky (Anne and Rudi Bauer Memorial Bursary, 2002—Tim is now a pilot with Central Mountain Air). The other student pilot award winners are Natalie Hanczak of the Pacific Flying Club/BCIT, and Daniel Cottle of Selkirk College. Darren will be awarded his bursary on BCAC Fall Conference and Silver Wings Banquet on November 4th, beginning with the Winners’ Reception at 18:00, and the Gala Dinner at 17:00, to be held at the River Rock Casino in Richmond. For further information on attending the Silver Wings Banquet or events associated with the two-day BCAC Conference, contact Donna Farquhar at 604-278-9330 or email: dfarquhar@bcaviationcouncil.org.